The 2015-2016 season of concert series HELIjaKEEL (“SOUNDandLANGUAGE”), in addition to its usual mandate of juxtaposing music and poetry is bringing together composers from Estonia and Finland in concerts that will be taking place in both countries. 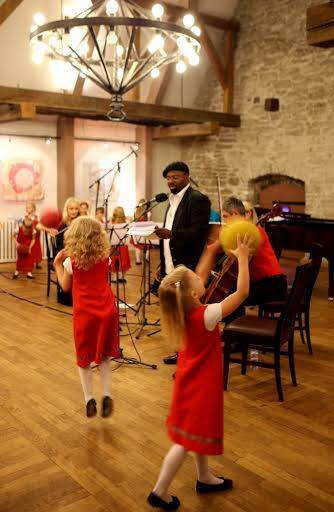 The opening concert of the season took place in Tallinn and Lahti, and included music by Kristjan Kõrver (Estonia) and Markku Klami, as well as poetry by the young Estonian Marko Veinbergs. 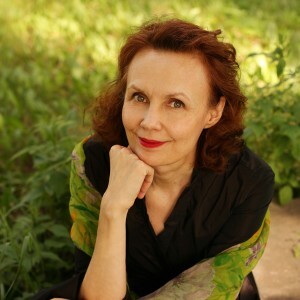 Our special guest composer from Paris, Kaija Saariaho, was featured in our Saariaho festival in February in Tallinn. The program of the festival combined Saariaho’s music with music by Arvo Pärt, Jüri Reinvere and Helena Tulve. The music Malle Maltis (Estonia) and Maija Hynninen (Finland) will be presented in our spring concert in Tallinn, together with the poetry of Vilja-Tuulia Huotarinen. The season will be brought to a close with a gala concert in Helsinki, featuring all of this year’s composers. In addition to musical considerations, the texts used in the concerts have played a key role in the ordering of the programs. All of the composers have been present at the concerts. Each season of the concert series HELIjaKEEL (“SOUNDandLANGUAGE”) consists of four concerts of Estonian chamber music. The 2012-2013 season featured collaborations between pairings of parents and children – one of whom is a composer, and the other a poet. The pairings were: Doris and Hillar Kareva, Maarja and Raimo Kangro, Peeter and Andrei Volkonski, and Märt-Matis Lill and Jaan Kaplinski. The second season of HELIjaKEEL brought together mutually inspired authors and composers: Helena Tulve and Tõnu Õnnepalu, Malle Maltis and Hasso Krull, Helvi Jürisson and Andrei Volkonski, and Timo Steiner and Ben Okri. In the third season, we continued our exploration of collaborations between composers and authors. We were expanding our horizons to include a mélange of artists, including Estonians, expatriate Estonians, and foreigners. Some of the concerts also took place outside of Estonia, on the Swedish island town of Visby and in St. Petersburg. The first concert featured a collaboration between Galina Grigorjeva and the nun and poetess Yelizaveta Kuzmina-Karavayeva. The second concert combined Jüri Reinvere and Sofi Oksanen, and the final concert featured the collaboration of Mirjam Tally and Kristiina Ehin.